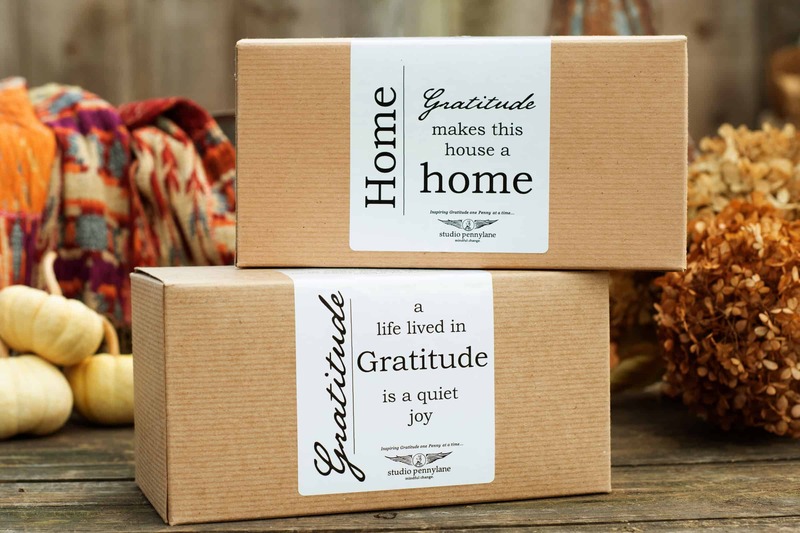 People who practice gratitude are happier, healthier, more optimistic and more successful. The gratitude attitude is a habit that forces you to look at things in a more positive way. It's important for our well being to recognize our gifts and then acknowledge and appreciate them. Use a beautiful book that will entice you to add entries to your journal every day. They can be simple such as "I'm thankful for this warm, sunny day". Make a gratitude post-it wall. 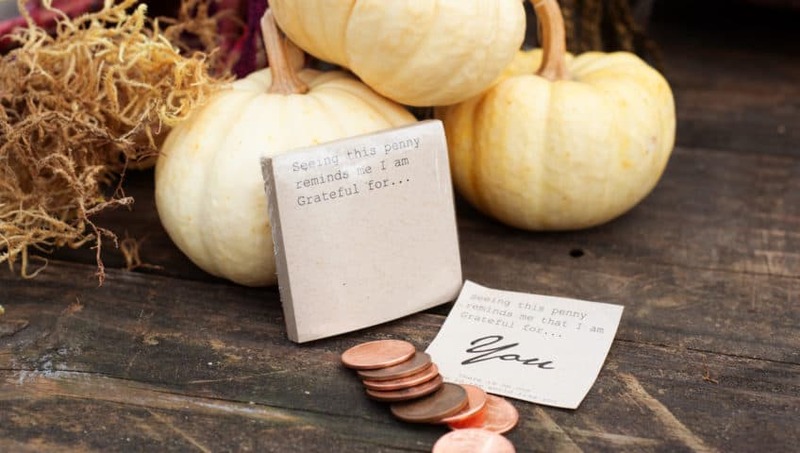 Add post it notes to a memo board throughout the day as you are thankful. Hang it in a spot you can see to remind you of all of the good things in your life. The more you smile at people the more they smile back. 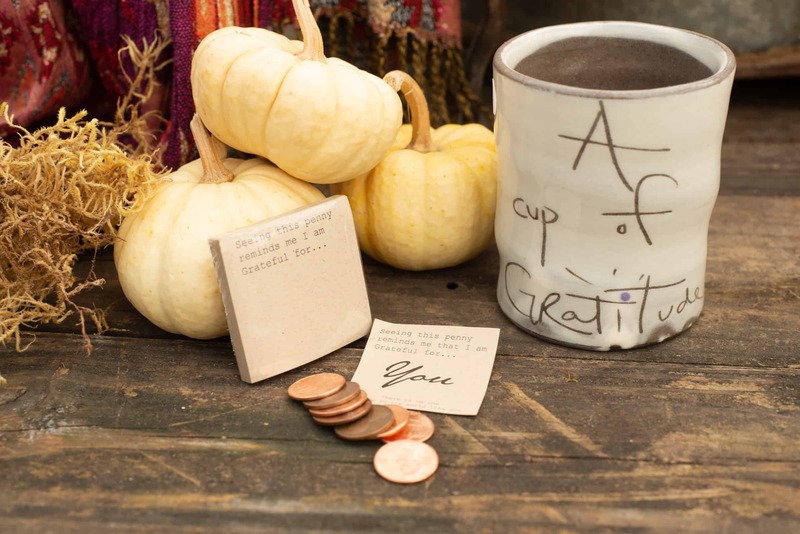 Give your gratitude away generously. 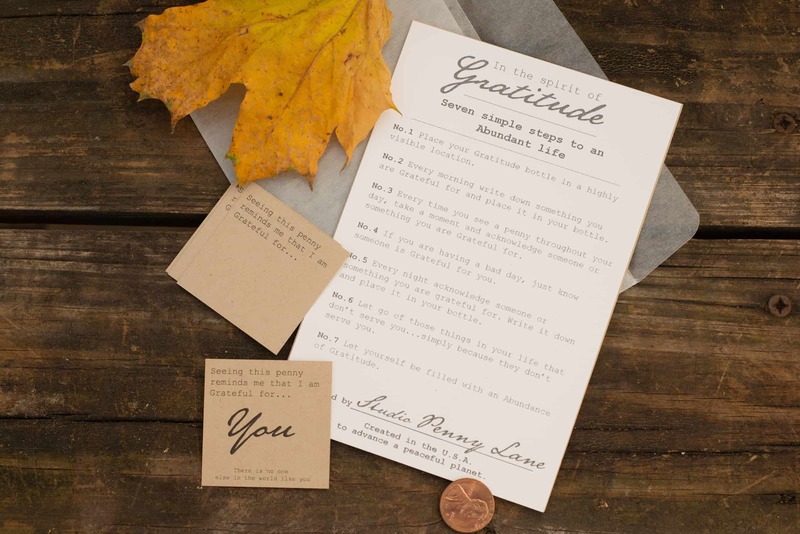 Write a gratitude letter to someone you love. 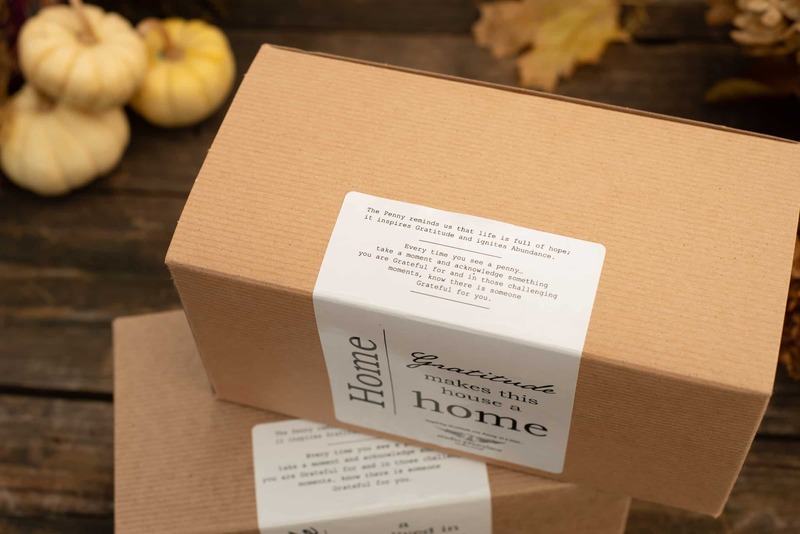 Take the time to think about and thank someone you love and then mail the letter. Both sender and recipient will be filled with gratitude. Appreciate the simple beauty in every day moments. Enjoy the beauty of frost on a chilly morning and be thankful you have a warm house. 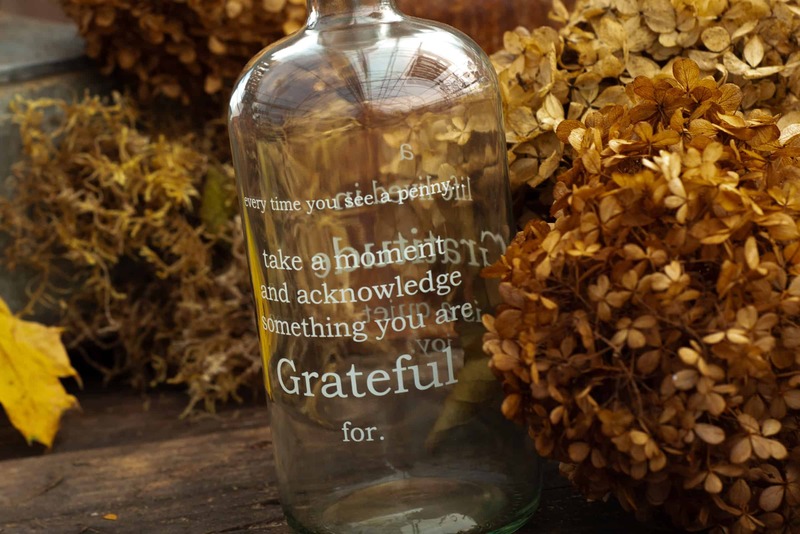 ♦ Every time you see a penny, take a moment to acknowledge something or someone you are grateful for. ♦ At night write down on a slip of paper, something you appreciate. 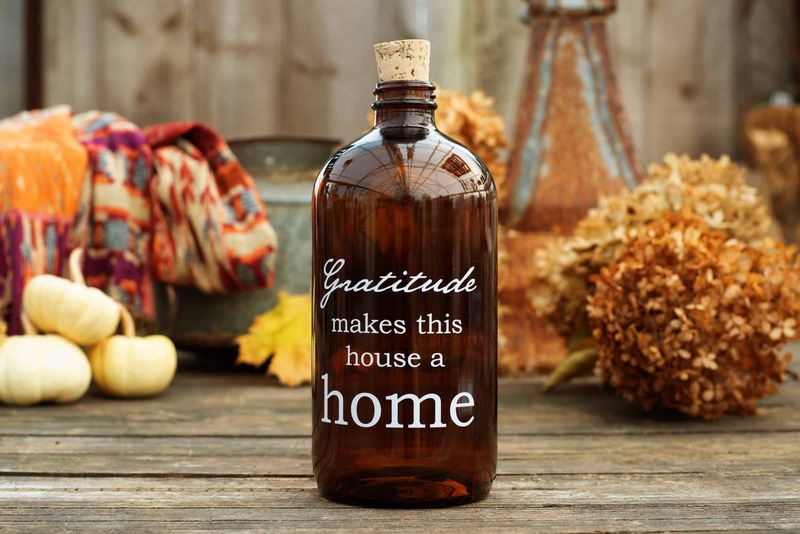 ♦ Soon your jar will be filled with an abundance of your good fortunes! We are grateful for so many things—especially you! What are you grateful for? Have a Happy Thanksgiving and remember to have the gratitude attitude not only on Thursday, but also all throughout the year.